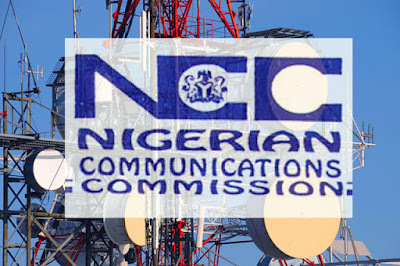 The Nigerian Communications Commission (NCC) said that the country’s phone subscriptions have reached 147 million as at January 2018. The Executive Vice Chairman, NCC, Prof. Umar Danbatta disclosed this during the NCC Special Day at the ongoing 29th Enugu International Trade Fair. The fair was organised by the Enugu Chamber of Commerce, Mines, Industries and Agriculture (ECCIMA). Danbatta who was represented by the Director of Public Affairs, Mr Tony Ojobo, said that the country’s social media space had continued to thrive. “Our statistics continue to show positive movement in the provision of services with internet and phone penetrations standing at over 100 million and 147 million subscribers respectively in January 2018. “With broadband penetration of 21 per cent, Nigeria’s social media space has continued to thrive and citizens are enjoying access to modern ways of interaction in the cyberspace,“ he said. Danbatta said that Nigerians were not left behind with services and innovations that abound in the Information Communication Technology (ICT) industry. “It is our commitment to keep the nation abreast of developments in telecommunications industry through innovative and world class regulatory processes,” he said. He said that commission would soon issue directive to service providers to give 14 days’ window to subscribers to enable them roll over their unused data. “In other words, this will stop the current practice where subscribers lose unused data even if they fail to renew on the date of the expiration of the current subscription. “We have already put the service providers on special notice about our current monitoring of user experience relating to poor reception, wrong billings and deductions and will call them to account in due course,” he said. Earlier, the President of ECCIMA, Mr Emeka Udeze, said that the presence of the commission at the fair was a well thought out strategy to interact with its various public in the South East. He said that a whole lot of positive changes had taken place in the ICT sector which had accentuated the pace of socio-economic development of the nation. “Yet, there remains a lot more that needed to be done to fully tap the potentials in this sector and for customers of the various networks to fully maximize the benefits of optimal service delivery,” he said. Udeze observed that the NCC day remained one of the most crowd-pulling, exciting and colourful special days at the fair. The highlight of the event was a raffle draw where gift items were won by some of those present.